To be honest, I didn’t know much about High School King of Savvy except that it’s centered around a high school kid who becomes a Retail Director and ends up living a double identity life. Intriguing concept? Perhaps. 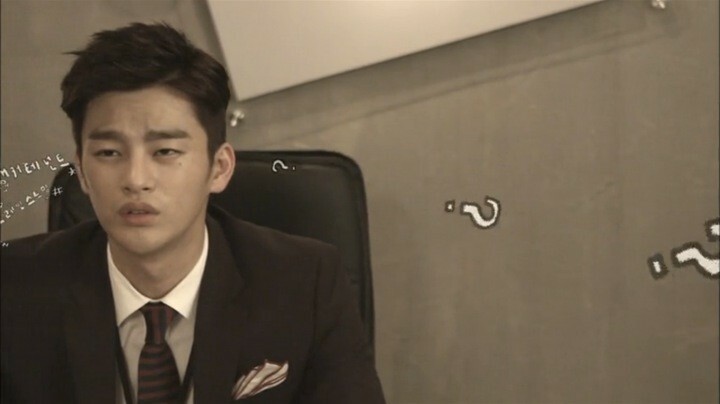 But the swinging vote for me in watching the drama was lead actor Seo In Guk, whom I’ve grown to like quite a bit. 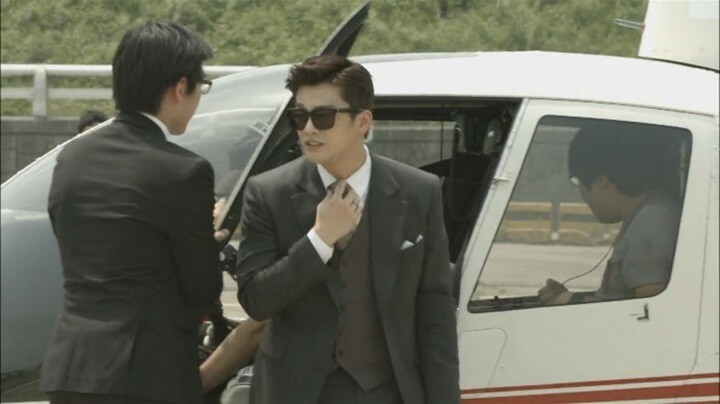 I particularly enjoyed his performance in Reply 1997 and thought I’d give High School King of Savvy a try. 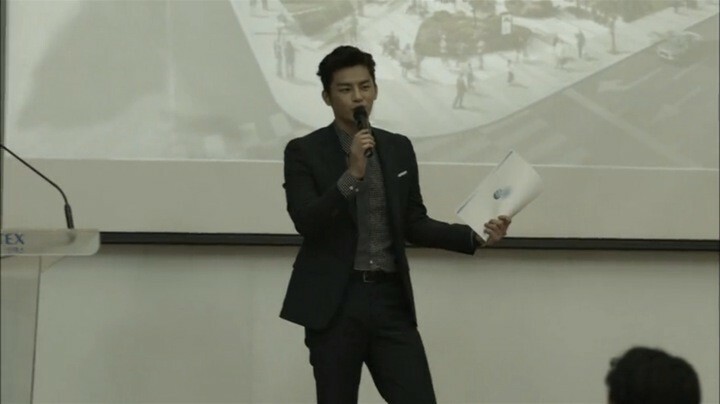 Lee Min Seok, the 18-year-old high schooler and ace of varsity hockey team. Hot tempered, competitive, wears his emotions on his sleeves, but likes to aegyo. Lee Hyung Seok, the 28-year-old genius retail consultant making his come back from Germany who is also Min Seok’s older brother. Smart, cool and collected, calculative. 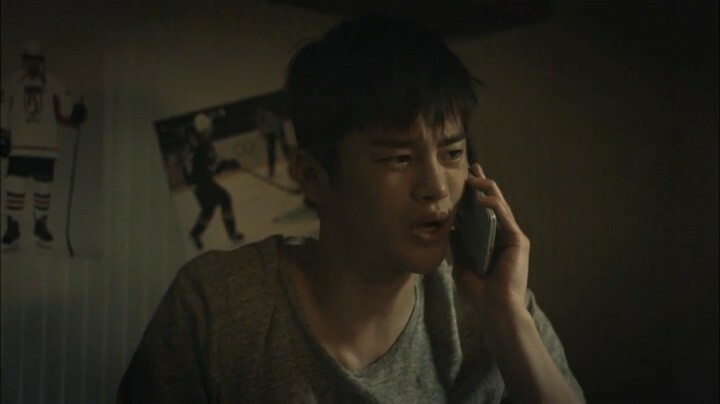 Lee Min Seok feigning as Lee Hyung Seok. Despite not even knowing what a PT is, he gains respect with his natural charisma and impresses the CEO with his creative thinking and non-stodgy manners. 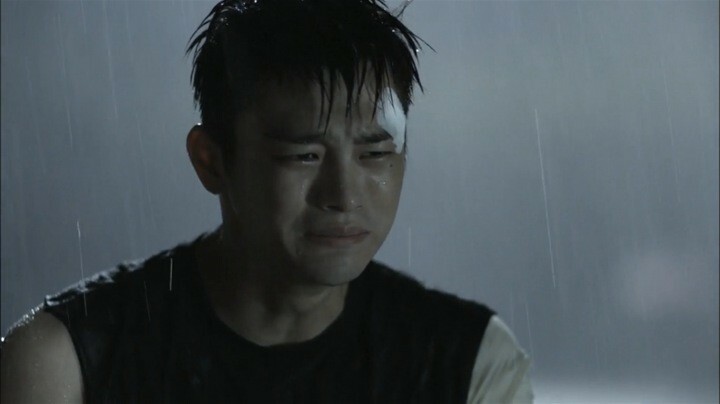 Each character is quite different, yet Seo In Guk made them all convincing, which was no easy task. The drama also had plenty of other memorable personalities like the “four-dimensional” secretary Jung Soo Young (Lee Hana). Her mannerisms and expressions were amusing yet not over the top. Min Seok’s buddies Jo Deok Hwan and Oh Tae Seok served as the show’s “dumb and dumber” providing endless laughters throughout the drama. On the romance front, the comedic bantering between Min Seok and Soo Young kept the drama at a great pace and made it engaging. Though the odd matchup made it hard to feel the couple’s chemistry the whole way through (ok primarily during kissing scenes). While the characters, acting, dialog, and pacing of the drama were exemplary, the same can’t be said about its plot. First issue: relationships were too predictable or inconsistent. The secretary fell in love with “Director Lee” only to realize later that he’s a high schooler — who didn’t see that one coming? Yoo Jin Woo (Lee Soo Hyuk) was initially disgusted with Soo Young’s sheer existence but somehow developed deep feelings for her out of the blue? Oh and we must not forget the cliche that siblings always fall in love with the same person in Korean dramas. Second issue: too many loose ends. There was little explanation as to why Hyung Seok needed Min Seok to sub in for him so desperately. Even though it was briefly explained towards the end, the reason didn’t feel nearly compelling enough. On top of that, Hyung Seok’s appearance in the drama was only used as a device to move the plot forward and reveal Min Seok’s real identity. There was next to zero character development of Hyung Seok himself. It’s a pleasant romantic comedy with tons of ridiculously funny moments and a whole lot of likable characters. High School King of Savvy effectively introduces its main characters, their relationships, and back stories all within the first episode. It opens strong with great pacing and captivating characters. At the end of the first episode, Hyung Seok mysteriously asks Min Seok to stand in for him at his new job and thereby sets up the entire drama. 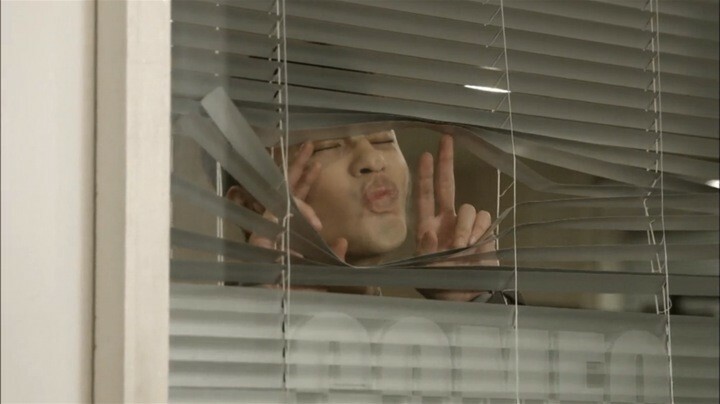 Episodes 2 and 3 are focused on depicting how Min Seok handles his new identity and office life at Comfo all the while getting to know Soo Young. The situations are obviously dramatized but it’s thrilling and fun to see how Min Seok barely manages to get by every time without blowing his cover. To me, Min Seok’s survival in the corporate world is definitely the highlight of the drama so far. By the end of episode 3, Min Seok gains everyone’s respect through delivering an amazing presentation and fully establishes his identity as Director Lee Hyung Seok. These are perhaps the most critical four episodes of High School King of Savvy that gave depth to each character and defined the core relationships between Min Seok, Soo Young and Jin Woo. It’s an emotional rollercoaster with friendship, rivalry, confusion, and confession. Early in episode 4, Min Seok’s secret gets discovered by his BFFs Deok Hwan and Tae Seok. Even though they’re unhappy about being kept in the dark, they soon get over it and help cover Min Seok at school, at the hockey team, and from Yoo Ah. The drama did a great job portraying the boys’ unwavering friendship (의리) and reminded me what it’s like to put friends above all. Meanwhile, Jin Woo feels threatened by Min Seok’s success at the company contrasted by his streak of failures in the CEO’s (his father’s) eyes. Eager to prove himself, Jin Woo becomes more desperate and ruthless. He fires Soo Young and officially enter direct conflict with Min Seok. With the childish rivalries between them and the endless office politics, there was never a dull moment. At the same time, Min Seok unknowingly turns his pity into attachment for Soo Young. Unhappy and worried about her being fired, he checks up on her and makes an excuse to bring her back as his secretary. Jin Woo shifts his plan accordingly and tries to charm and manipulate Soo Young into uncovering Min Seok’s secret for him. As a result, the jealousy-filled Min Seok decides to confirm his feelings for Soo Young by hugging her for ten seconds. Here begins my favorite phase of any rom-com Korean drama where one side confirms their feelings and the other side is still in confusion — ah the anticipation! Min Seok looks for every opportunities to be alone with Soo Young while Soo Young naively believes that Jin Woo is warming up to her, until she realizes that he wants to use her to spy on Min Seok. Devastated, Soo Young runs home and bumps into Min Seok, who swoops in with a kiss at the perfect moment. Voila, the rest is history! Next, we enter what I call the “honeymoon” phase of a rom-com Korean drama where the couple is finally together and we watch their sweet relationship blossom and grow with big grins on our faces. But to back up a little bit, Soo Young is flustered at first with Min Seok’s confession and doesn’t know how to face him. Of course, it doesn’t take long before she recognizes how much she worries about his safety and cares about him. So Soo Young jumps right into Min Seok’s arms. Before you know it, we’re bombarded with scenes of lovey-dovey phone calls, secret office lunches, 2-day-1-night trips, and ice rink dates. That is, until they encounter the first major hiccup of their relationship. With Min Seok’s double-identity secret being discovered by Soo Young and Yoo Ah at the same time, the “honeymoon” phase is officially over. High School King of Savvy goes a bit downhill from here on mainly due to the predictable plot and inconsistencies of characters. Once Soo Young finds out Min Seok’s true identity, she’s sent to a state of mental shock, followed by confrontation by her sister, and finally decides to avoid the situation altogether by moving away. Sure, this is all understandable and relatable. But the contradictions begin when Jin Woo grows worried about Soo Young and ends up confessing his feelings for her. Given their relationship in the first half of the drama, this sudden change of heart feels quite farfetched. Next, Soo Young finally prepares herself to end with Min Seok for good, but of course Min Seok gets injured just then with impeccable timing which leads Soo Young to eventually come back to him and accept him as he is. They immediately jump back to the relationship as it was before — cute, comedic, and happy, as if nothing has happened. Despite the usual awesomeness in acting and dialog, the sharp transition of the plot didn’t feel realistic and I was a bit disappointed. My disappointment grew as the plot “thickened”. At first, I had high hopes for a dramatic climax when Jin Woo finally figures out Min Seok’s secret and catches him in his high school uniform. But I was quickly let down when the drama suddenly turns them into frenemies with a tender moment of Min Seok taking care of sick Jin Woo and thereby finding out Jin Woo’s secret in return. Now they’re even — no drama, no blow ups, no nothing. So to move the plot forward, the mysterious Hyung Seok shows up out of the blue and reveals his plans to take down Comfo to revenge their father’s death. In an attempt to stop Hyung Seok, Min Seok ends up revealing his secret to everyone but is too late to change the outcome. It took the sudden death of their grandpa for Hyung Seok to stop his revenge. Hyung Seok couldn’t be stopped by anyone including his beloved younger brother who sacrificed much for him, yet the death of grandpa that had nothing to do with his revenge was able to make him change his mind? Hyung Seok leaves Min Seok a message saying that he regrets not spending enough time with the family and then immediately runs back to Germany — how ironic. The rest of episodes 16 and 17 were obviously filler extensions with not much storyline and a whole lot of slice-of-life-y situations. But after all, that is what High School King of Savvy does best.